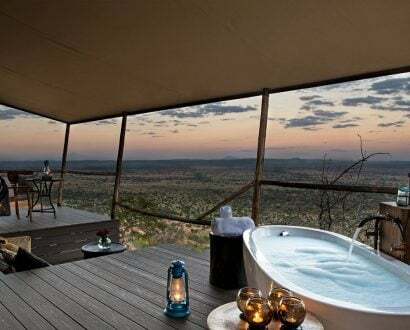 What goes around comes around in the world of design. 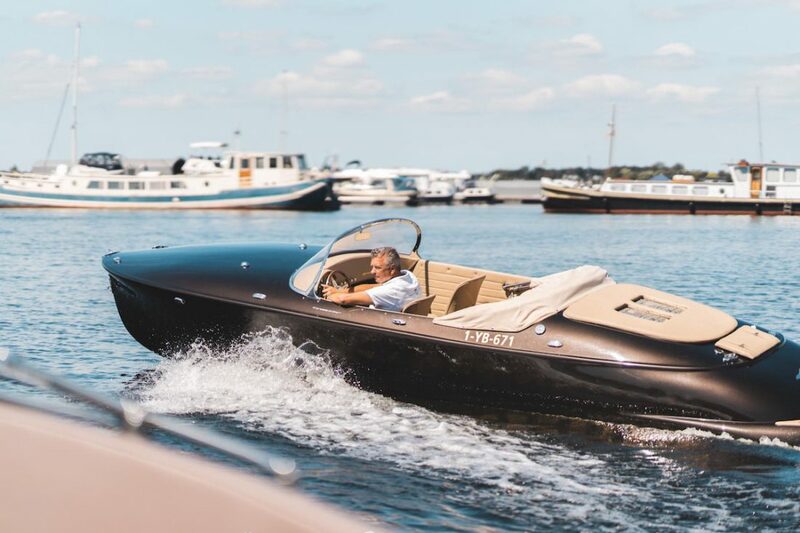 Drawing inspiration from the 1959 Porsche 356 and the Gentleman’s Runabout boats of the 1930s, the all new Hermes Speedster by Seven Seas Yachts perfectly combines retro style with modern efficiency and comfort. 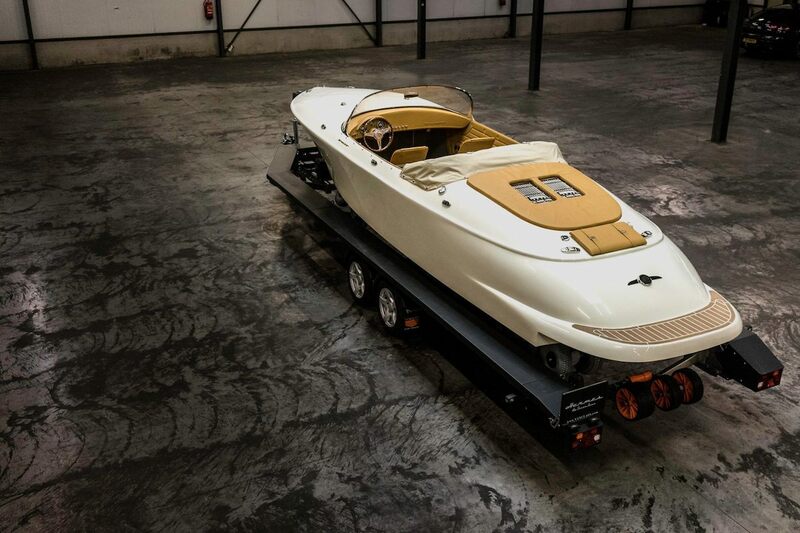 The boat represents Seven Seas Yachts’ expansion into a new classic boat line with jet drives – set to catch the eyes of collectors worldwide. A curved hydrodynamic hull designed by Nicolas Politis creates low drag resistance, allowing the 6.75 metre, five-person vessel to cut gracefully though the water. Powered by a MPE 850 Marine TC 120-horsepower engine, the Hermes Speedster cuts through the waves with a comfortable entry angle of 72 degrees. Approaching top speeds of 75km/h, the hull lifts gradually out of the water, maintaining a nearly horizontal attitude at all times. Possibly the most indulgent part of the Hermes Speedster is that every detail can be customised – all the way down to its stitching. There are 11 hood colours and 15 genuine leather interior options available, allowing owners to express their own personal style inside and out. The sleek exterior is painted with certified marine metallic colours, coated with anti-scratch varnish and polished by hand. 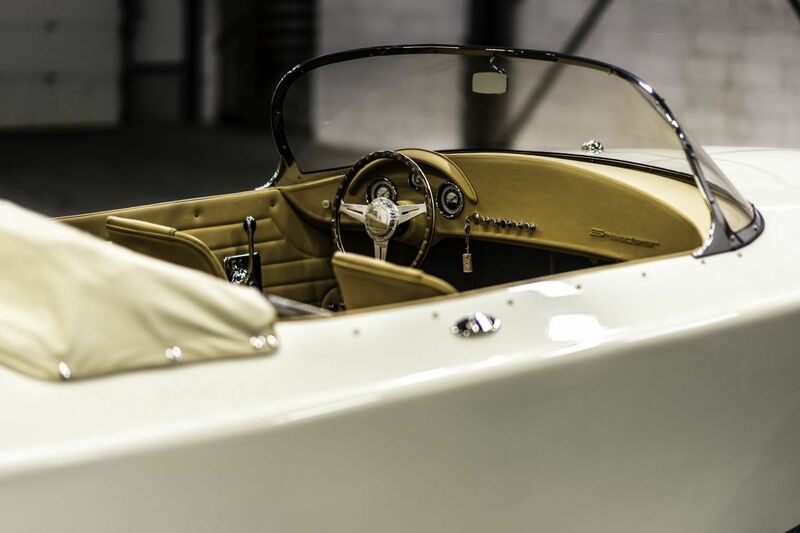 Inside the cockpit, the vessel features custom retro gauges, Clarion loudspeakers, an underwater white LED light, and a bespoke handcrafted 60s-style wooden steering wheel. Like its larger siblings, the Hermes Speedster demonstrates an unbelievable average fuel consumption of 5.5 litres per hour – staying true to its title as ‘the most efficient production boat in the world’. 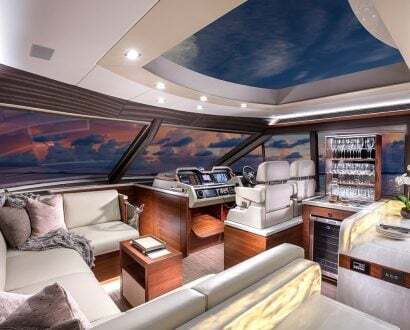 With an easy-to-operate convertible top and optional heater and glass defroster, guests can hit the open ocean in all weather conditions. 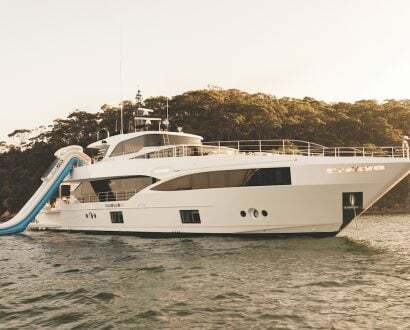 Comfortably seating five passengers on two chairs and a rear bench seat, the vessel also features a sunlounger that can be placed over the engine cover at the stern where you can dry off after swimming. 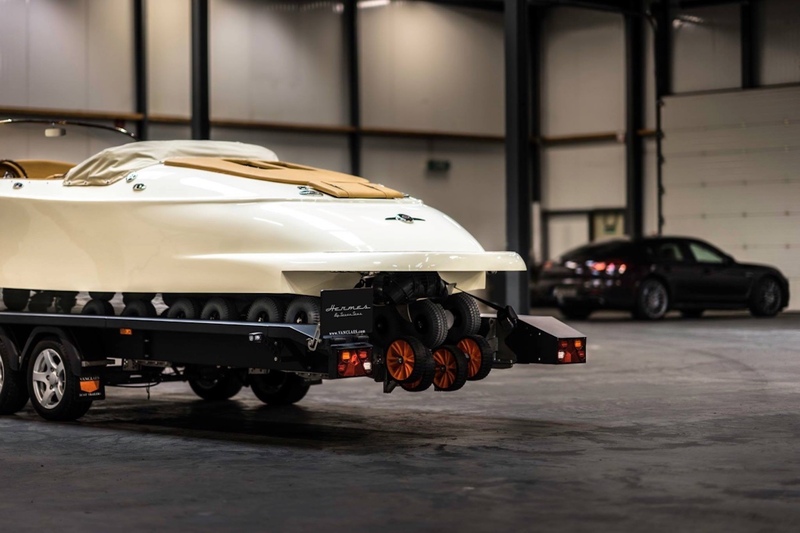 For the return to shore, the modular Vanclaes Customshop boat trailer has been tailor-made for the Hermes Speedster, promising quick and easy on and offloading. For marine enthusiasts, we take a look inside the ultra-luxe Regent Seven Seas Mariner, which recently received an extensive US$125 million bow-to-stern refurbishment.